I’ve spent some time since finishing this book trying to decide what to say about it. I went in to it with high expectations because of Jen’s feelings about it; high expectations can be detrimental to my final feelings but not in this instance. This book lived up to the expectations I had, even surpassed them. 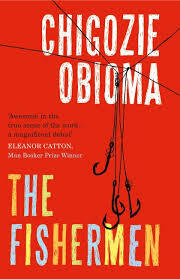 The Fishermen tells the story of four brothers who are growing up in a Nigerian village with the rather unstable political situation of the 1990s in the background. Their father leaves to work in the city and they go down to the river to fish, the river isn’t somewhere they ought to be. One day they meet the local madman – or prophet – who says that the oldest brother will be killed by a fisherman. This book is ultimately a story of how that unravels them. The writing of this book is beautiful. Absolutely beautiful. I find it hard to believe that this is a début, quite honestly! There is such a richness to the language he uses and a depth to the characters, it’s astounding. There is so much to think about in this novel; there are so many things that will keep me thinking for days. I’m certain that the more I reflect on this novel, the more I will enjoy it. As it stands, I’ve given this 4*. It’s probably 4.5*. It may move up to 5*. It’s a beautiful book and one with a lot of things to think about. There’s more to this than meets the eye and I will definitely get my hands on whatever Chigozie puts out next. So, I found this over at Jean’s channel (BookishThoughts) and really wanted to do it. I’m currently making my way through the shortlist for this years prize and really want to make an effort to read more of previous prizes and thought this would be a really good way to do that! This will probably include a bit of a long-term TBR as there are a number I want to get through it seems. Going through the shortlists (here) there are a number of books I really want to get around to that I, honestly, had no idea were nominated in the past. So, anyway, let’s get on with it. I use the term follow loosely. Really I’ve only been interested in it for the past few years – maybe since 2009? I remember Hilary Mantel winning for Wolf Hall and I then remember the next few years quite well even though I didn’t actively go out and read the books. I’ve been aware of it for a long time though, I think my English teacher in year 6 (I was 10/11) was the first one to introduce us to literary prizes – I didn’t go out and read any that young but she was the one who made me curious enough to go out and investigate when I got that bit older. As for other prizes, I don’t follow them as I do the Man Booker, I’ve dipped in and out of the Orange/Bailey’s Prize and the Costa Book Awards but mainly to see what books are out there rather than following it religiously! 2. If you read a book you know has been longlisted, what expectations do you have going in to it? In the past I’ve headed in with a sense of trepidation. It’s only the last few years I’ve been aware of the longlist, previously I only ever noticed the winner and a lot of the winning books seem a little untouchable. Books longlisted for the Man Booker are those that are the best in the class, they’re the elite and being elite doesn’t always mean that they’re approachable for the average Joe! However, now I’ve developed as a reader, I go in expecting something amazing. I go in wanting the experience to be amazing. I want the book to be something different, something that I’ve not read before. I want it to maybe make me think differently. I’m currently making my way through the shortlist. 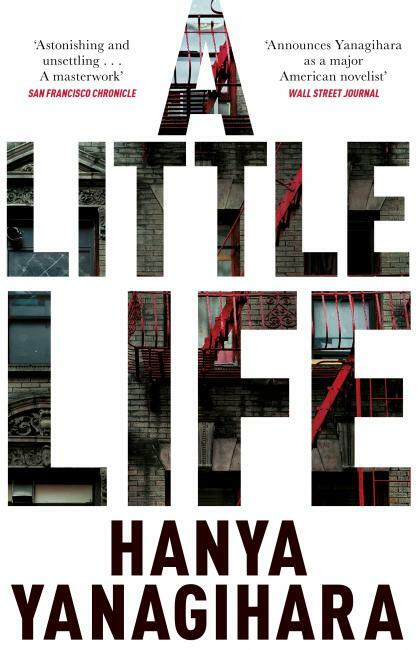 I’ve read A Little Life and Satin Island – the first being amazing and the later being a disappointment. I want to get to the final four in the next week or two. I know I’m not going to get through them all by Tuesday when the winner is announced but I do want to finish them. Off of the longlist, I’m quite interested to read The Chimes! 4. 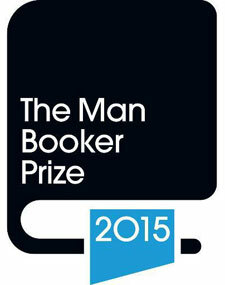 Which previously longlisted or shortlisted Man Booker book is your favourite? From last year, How to Be Both by Ali Smith, it just has to be. I’ve actually not read all that many of the winners, and those I have read I’ve not necessarily enjoyed all that much. The one I enjoyed the most will probably be The Remains of the Day by Kazuo Ishiguro. I would have loved to have seen The Book of Strange New Things, The Buried Giant (even though I didn’t much like it when I read it, it’s one I’ve grown more warmly to in hindsight) and The Gracekeepers in the mix. This is a book that seems to split its readers in to two camps; the lovers and the haters. I sadly fall in to the latter. Satin Island has been shortlisted for the Man Booker this year and, honestly, it’s books like this that give prize lists a bad name and make them feel out of touch to the average Joe. Firstly, the positives, the structure of this book is quite interesting and it was under 200 pages. Other than that it’s absolutely exasperating with a detestable main character and absolutely no plot. I can honestly find nothing to discuss about this book regarding the plot as there just wasn’t one. I don’t mind that as long as there are good characters, but the main character was just blah and the peripheral characters were barely there either. This just really frustrated me. It read like non-fiction in parts, but the worst kind. If I wanted to read an essay on anthropology I’d have found one. Oh and also, there was an excessive use of parentheses which really got on my wick. I gave this book 1* and I feel that is generous. It was pretentious, it felt self-absorbed and just didn’t give off a good impression. It could have been great, there were a few passages that were just stand up beautiful but, on the whole, I just felt I was banging against a wall constantly while reading it and never quite getting to the greatness. I felt unfulfilled reading this book. I wanted more but at the same time, I wanted far, far less. Essentially, I just wanted a different book entirely and I thank the Gods that this was short. NB: I was stuck on a bus and only had this to read. I don’t know if I would have finished it had I not been stuck on said bus. Take from that what you will. This book has taken me a lot longer to read than I anticipated but, oh what a read it was. I don’t think I’ve been this invested in a book, felt so in touch with the characters, felt so soul destroyed ever. This is just incredible and, in short, it fully deserves all the hype that is surrounding it. As I said, this book took me a long time to read, I couldn’t read much at once and I couldn’t read anything alongside it; it just completely consumed my life for nearly a month. It is by no means an easy read, it isn’t one for everyone, it is a rollercoaster filled with trauma and harrowing events that absolutely destroyed me. This book really ought to have trigger-warnings galore on it’s front cover because some things were so difficult to read I had to put it down for a little while. But the thing is, I don’t think a book has ever had me openly crying like this did and I don’t think I’ve ever felt like I’ve been punched in the gut while reading a book either. By the end of my month of reading this, I was emotionally exhausted but I think I came out of it a different person, it was just one of those books that really affected and changed me. It was a powerful, painful and exhausting book to read but so, so utterly worth it. It took me a month to read but I don’t mind that, I have read an incredible book here and it is one that I will reread in the future for certain. In short this book is a 5* read and I’ve run out of adjectives to describe it. I have the entire Man Booker shortlist sat in front of me but, honestly, I think this might just win it because damnit, it’s incredible.